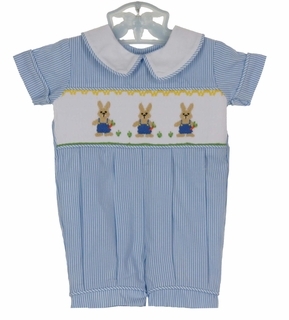 This sweet blue striped cotton blend smocked romper is made by Remember Nguyen (Remember When), a leading manufacturer of classic smocked children's clothing. 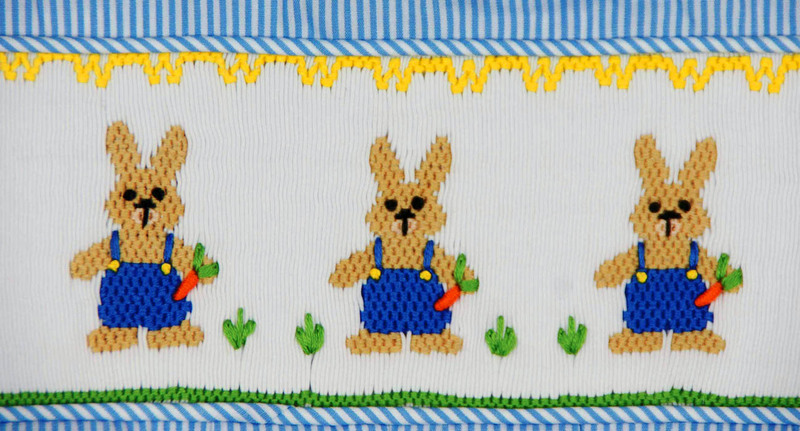 Perfect for Easter and all summer long, the romper has a band of white smocking on the chest embroidered with three bunnies holding carrots. The white Peter Pan collar is edged with blue striped piping. 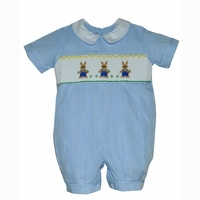 The romper has short straight sleeves, a back buttoned closure and snaps in the crotch. 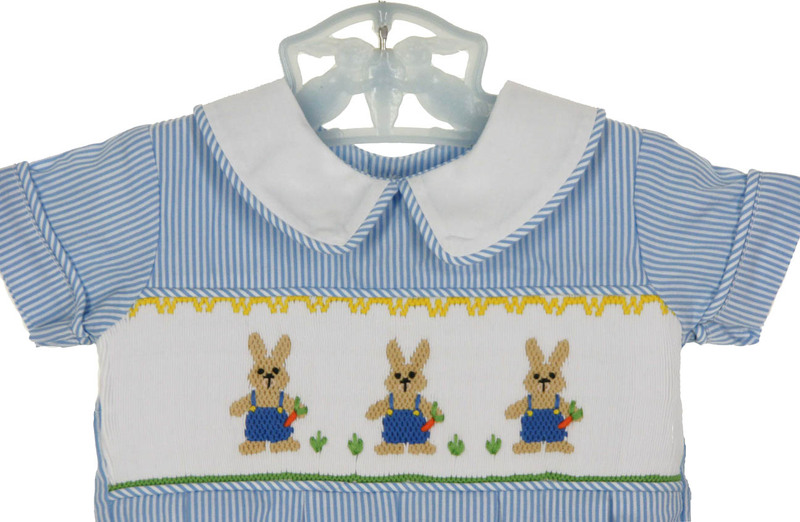 Matching bubble is available for baby girls. See below. Note: This romper runs small. You may wish to order 1 to 2 sizes larger than usual. Grammie's Attic has the largest selection of baby boys' classic clothing and toddler boys' classic clothing, and little boys' classic clothing you'll find. Be sure to see all our beautiful rompers and outfits for portraits, parties, birthdays, and special occasions for your little boy from all your favorite manufacturers, including Polly Flinders, Feltman Brothers, C. I. Castro, Will'Beth, Petit Ami, Carriage Boutiques, Sarah Louise, Garden of Angels, Good Lad, House of Hatten, Rosalina, and many more.